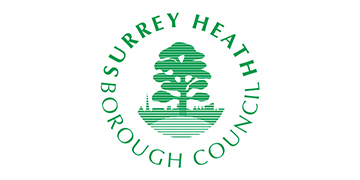 The Surrey Community Housing Partnership is an initiative delivered by Surrey Community Action. The partnership is between Surrey Community Action and eight Surrey boroughs and districts. It supports people to form groups and develop housing. It will help groups clarify their goals, access expert advice, secure funding and find suitable development sites. The districts and boroughs involved are Elmbridge, Epsom & Ewell, Guildford, Mole Valley, Surrey Heath, Tandridge, Waverley and Woking. David Cowan, Community Housing Project Manager. David joined Surrey Community Action in September 2017 to promote and support community led housing in Surrey. He’s previously worked in the planning department of a Surrey local authority, with young people in supported housing and has been involved in private house developments. Louise Williams, Rural Housing Enabler. Louise has been advising on rural affordable housing development, carrying out housing needs surveys and authoring reports on housing in Surrey for some years. She has extensive experience in housing management and the Surrey housing market. She inspired and worked to set up the Surrey Community Housing Partnership.